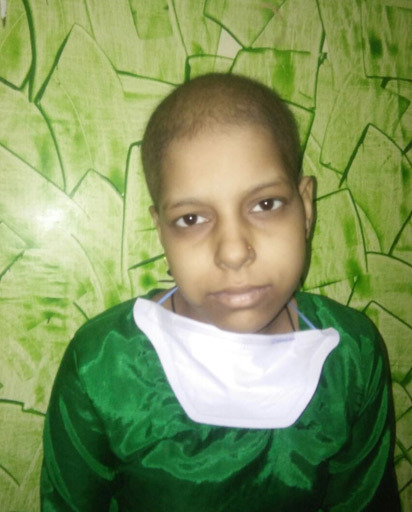 With a family income of just $42, and treatment costs of $20,000, Madhu's family needs help to ensure she gets the immunotherapy to survive. At risk of being withdrawn from medical care due to lack of funds, Tehreem is an 8 yrs old bright girl, studying in 4th grade and a resident of New Delhi, India. She has 2 siblings and grandparents living with her, with only 1 earning member in the family, her dad. 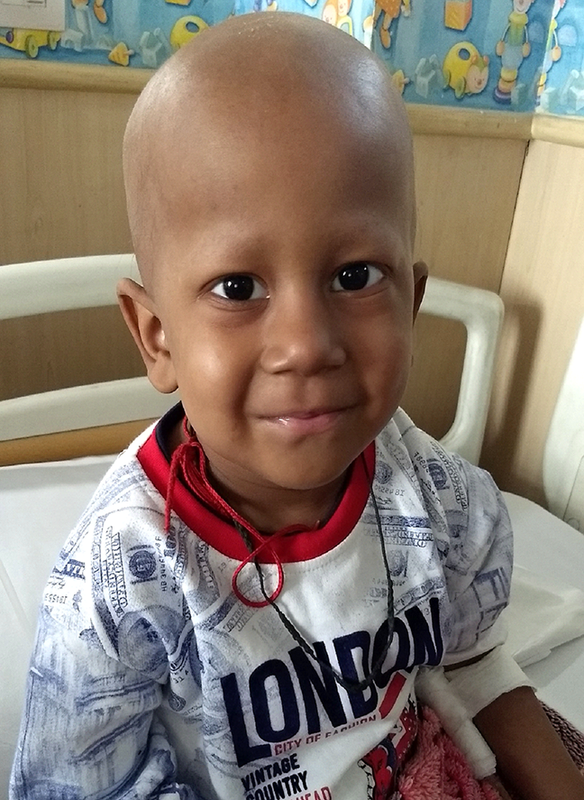 Help Partha fight Cancer. 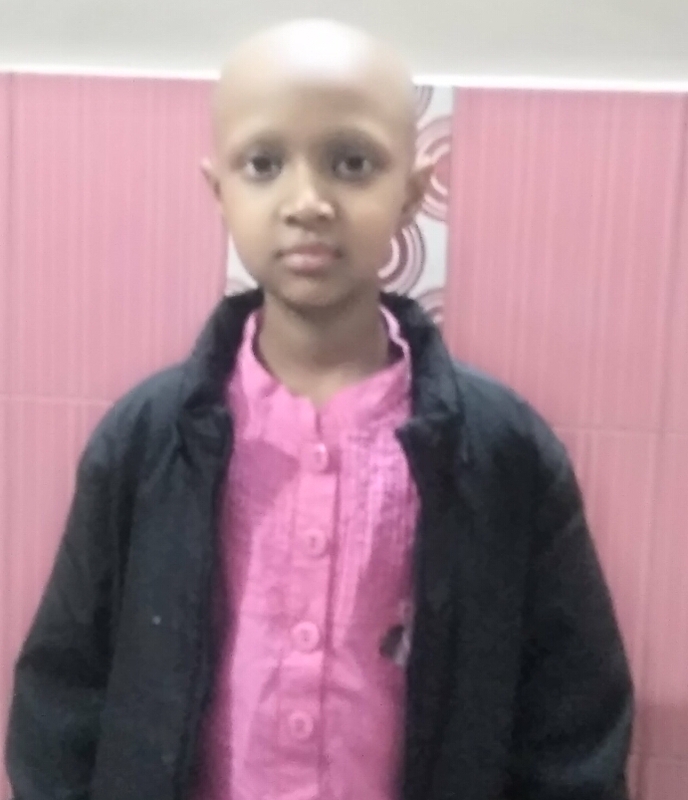 Partha suffers from a rare type of cancer and had his first line Chemotherapy done in Jan 2018. He needs to continue the chemotherapy followed by a stem cell transplant. 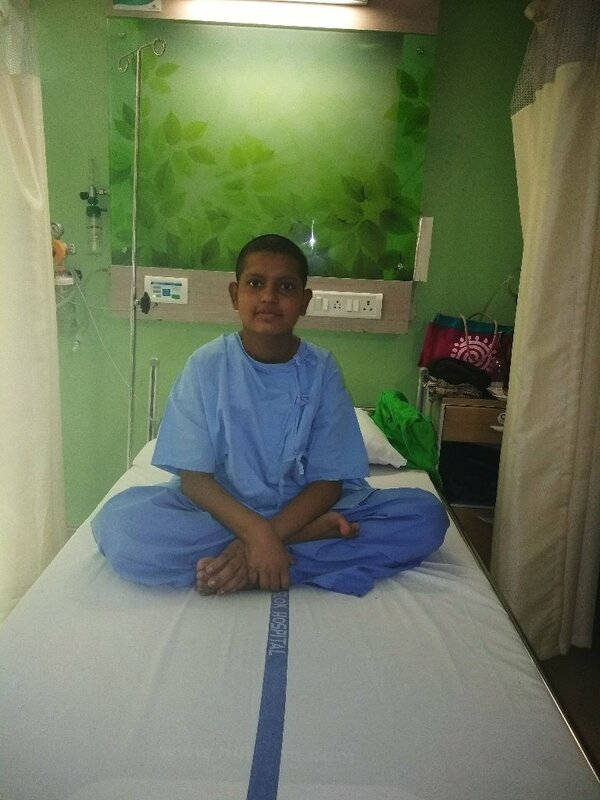 There is a 50% chance of cure and as with all our patients, we hope for the best and are striving hard for Partha to recover. 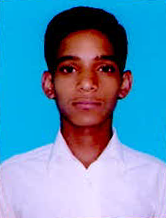 His father, Sanjay Kumar, earns approximately 2 lakhs annually (3000 USD approx. ), which is not at all sufficient to support his medical bills. Tanisha is a 15 year old girl. She was diagnosed with Leukemia recently ( ALL ). She is currently at Super Speciality Pediatric Hospital at Noida, UP, India. As per her doctor, her survival rate is expected to be greater than 80%. Her father is a carpentar and mother is a housewife. They do not carry any medical insurance and are at the mercy of donors like you to ensure she gets the treatment she needs to survive. 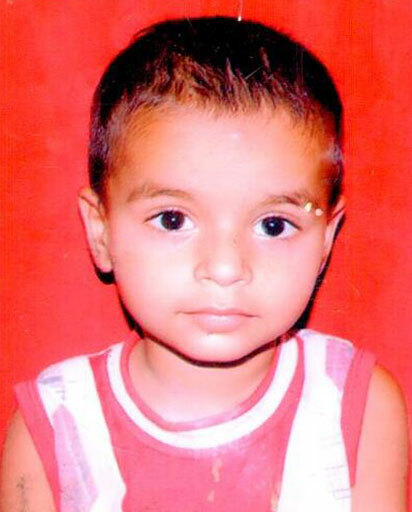 He is 4 year old boy (born on 24/7/2013) hailing from Vrindavan (District –Mathura; Uttar Pradesh). His father Mr. Shravan Agarwal, runs a small rented shop dealing with cloth sale in Vrindavan with his brother. His mother Mrs. Radha Agarwal is a home-maker. 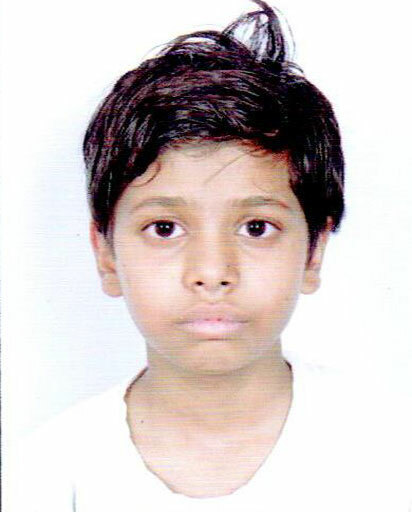 Kanha has an elder brother Garv Agarwal who is 9 year old and studying in Class V.
The Patient is a case of B-cell Acute Lymphoblastic Leukaemia with CNS relapse. She is presently undergoing chemotherapy at Fortis Memorial Research Institute. She need to be treated with intensive chemotherapy followed by cranial radiotherapy. Treatment duration will be 6 Month followed by oral chemotherapy for 2 year. In view of isolated CNS relapse she has a 50%-60% chance of 5 year disease free survival. This patient was initially treated with ATG + Cyclosporin last year and he had a temporary response . He was transfusion free for 9-10 months, but last since 3 months, he started requiring repeated platelets and PRBC transfusion. He needs allogenic stem cell translate at the earliest. As he does not have a matched sibling donor, he will need unrelated donor transplant. Fortis has already started a donor search for him. 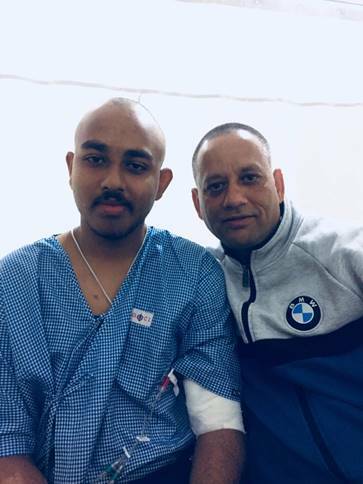 Manish was diagnosed with blood cancer ( B-Cell Acute Lymphoblastic Leukemia in Dec 2017. He is 13 years old, and his parents are farmers, with annual income of Rs 24,000 only. No other financial help is available. But the doctors say that if treated, he has good chance of survival. He is currently getting treatment at Rajiv Gandhi Cancer Institute at New Delhi and the treatment is expected to last 3 years approx.